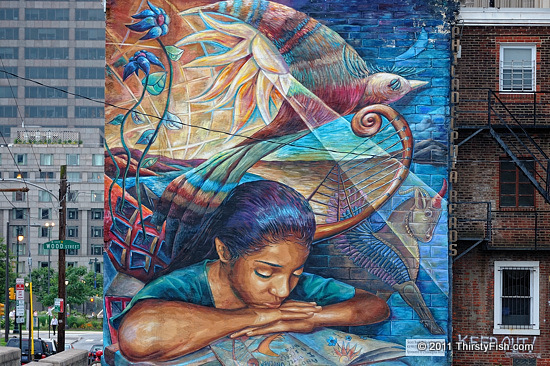 Philadelphia Mural (Callowhill St. and N. 19th) / "Secret Book"
In the end, the rebellion fails, Hotspur is killed in battle and the Earl of Worcester is captured and executed. Sometimes it is not so wise to "unclasp secret books". What one does with their imagination is more consequential than merely having a big imagination. This "Secret Book" titled mural is by Joshua Sarantitis.